Gunplay and Rick Ross link up for "Scuffed Timbs." Here goes another Rick Ross/Timbaland leak. 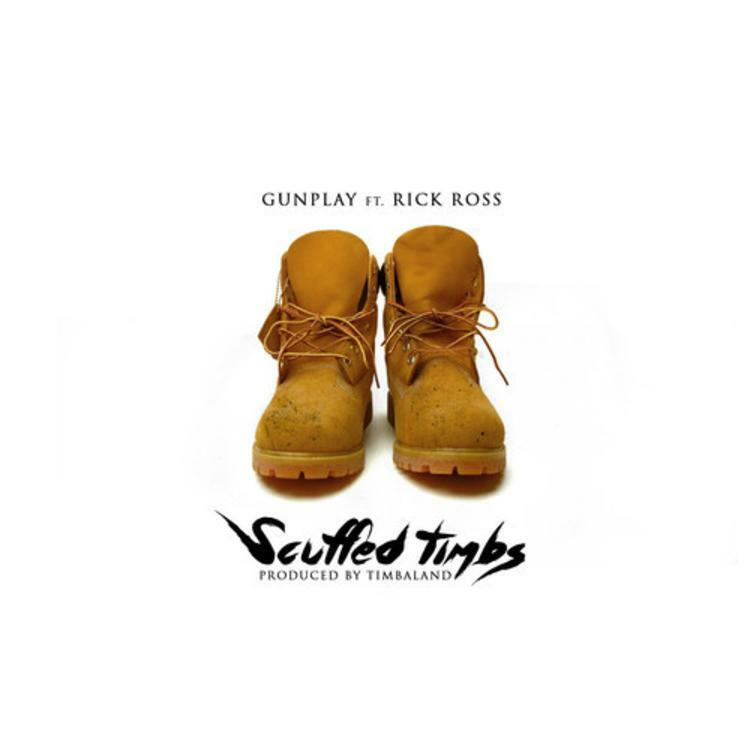 After the beatmaker released a version of Rozay and Jay Z's "Movin Bass" that featured Tink (and Ross subsequently said he was disappointed in the producer for doing so), we get another Timbo-produced cut, this time with Rozay playing second fiddle to Gunplay. What's different about this one? Ross seems to endorse it. "Scuffed Timbs" features a beat that's even more unorthodox than "Movin Bass"' and sounds similar to the instrumental Kanye West cooked up for Pusha T's recent "Lunch Money" single. The dude at NahRight, for one, is not a fan. What do you think about this bonkers track?